Above: Window replacement, especially in older homes, often involves more than just replacing the glass panes. How is comfort defined? Does your kitchen have enough ventilation? Are dangerous particles being filtered out of the air? Do your windows provide enough light? Like good design, you don’t have to compromise on wellness when it comes to your next remodeling project. Here are ways you can be comfortable and healthy. In the verdant Northwest, homes are built tight and weatherproofed to keep the moisture out. “If you want your home to last for a long time, you have to ensure your siding, roofing and windows are weatherproofed and done really well,” says Troy Zdzieblowski, Home Improvement Consultant at Neil Kelly. Indoor air quality is a popular topic for good reason: The quality of the air inside your home can make the difference between being comfortable and being unhealthy. And, if the building’s envelope isn’t sealed correctly, air from the crawlspace (that can harbor everything from dead rodents to debris) can infiltrate your home. One way Neil Kelly helps is though the installation of heat recovery ventilation systems. These systems take air from the outside, filter it, put it back into your HVAC system, then push new fresh air throughout the house. 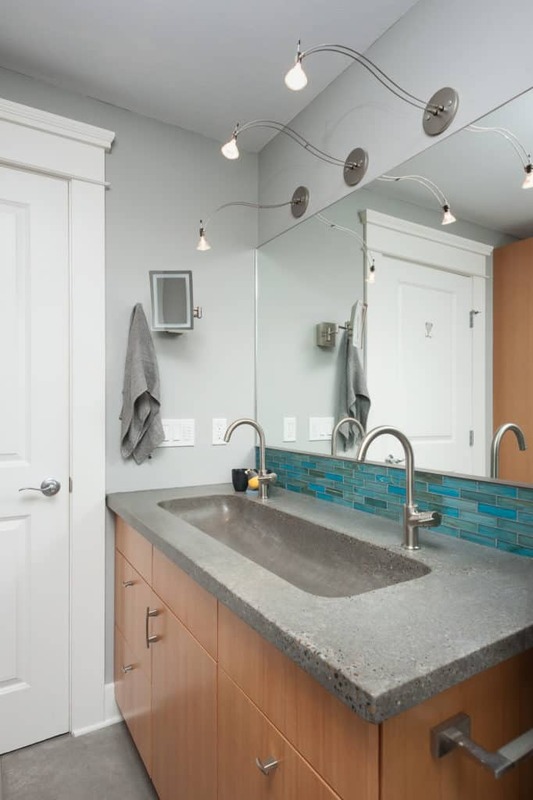 Above: Thoughtful lighting design adds comfort to this bathroom project. You don’t have to live with glaring, 1970s fluorescent fixtures under your cabinets or harsh spotlights in your living room. There are many options for better lighting. “It’s all about the type of light and the correct temperature balance to a light fixture,” said Michael Rieger, Master Carpenter, Neil Kelly. “By adding in elements like a few pendant lights with the under cabinet lighting, or overhead can lighting, you can create a dynamic environment that offers lighting options for different moods or times of day,” he says. Many of the homes Neil Kelly remodels are from the 1920s — and many have beautiful single-paned windows. Unfortunately, the original wood in these windows has often rotted out. We can help you with next steps, from repairs to replacement with wood, vinyl or fiberglass frames. Each have their own advantages, like durability, energy efficiency, soundproofing and price points. 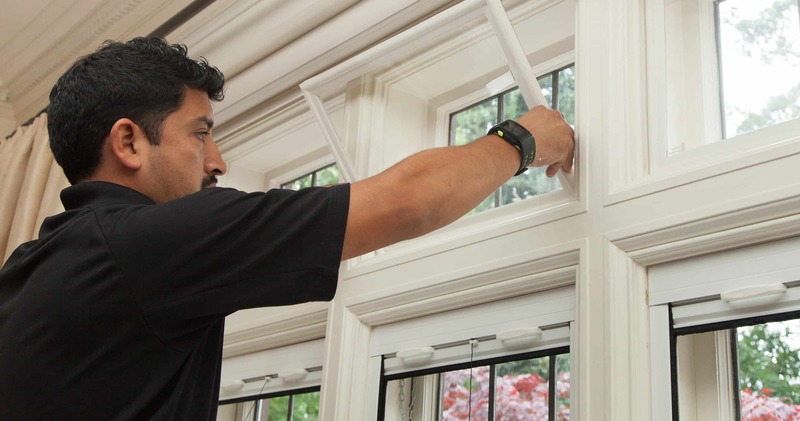 “What I always say is if you’re going to do windows and you can’t do all of them, start with the ones that you’re near the most because you will feel the biggest difference in those spots,” said Zdzieblowski. Maintain and clean your bath vents, dryer vents, and the grease traps of the stove vents. “Just doing maintenance on things that are moving air is a really big thing. They’re pretty simple to do. You just have to make sure it’s on your list,” says Zdzieblowski. Is your kitchen stuffy, do the windows leak air, and is the light in your living room brighter than the sun? Get in touch with us! We can help install new systems and design new ways to make your home comfortable — and healthy.